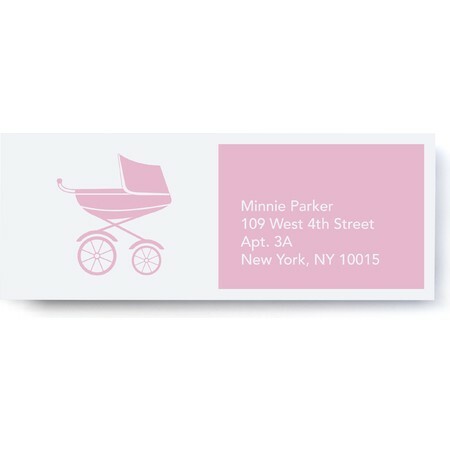 Could there be anything more delightful than taking an adorable new friend for an outing in a beautiful old-style pram? 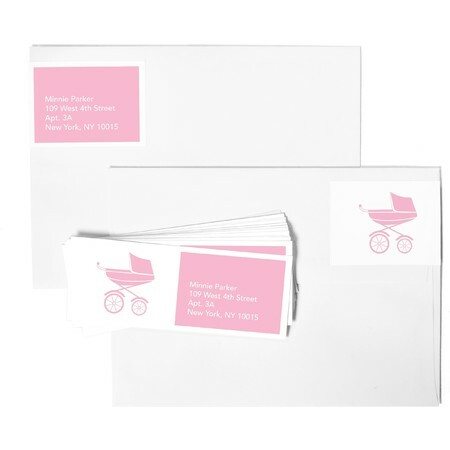 Our sweetly chic Address Labels are a sure-fire way to make everything about your shower feel pulled-together. Their classic good looks will effortlessly dress up any Invitation or Thank You Note - and for an even more elegant look, try wrapping the pram icon around the back of the envelope.